Swiping the pavement, taking in the laundry. I wonder what that cat is up to? This photo was taken in Split. 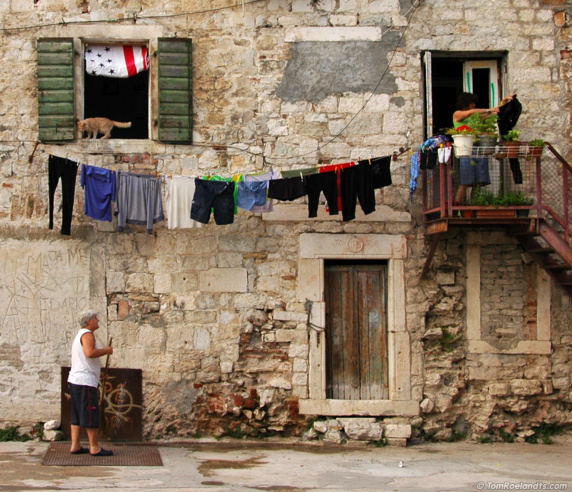 This is photo 8 of 10 from the Croatia series.